Welcome to the Magical Feminine Prosperity Program that will take you through a beautiful soul-level journey that is meant to honor and celebrate the sacred, powerful, woman inside of that is READY to be born! Step into a new level of embodied feminine prosperity for natural money & client attraction. 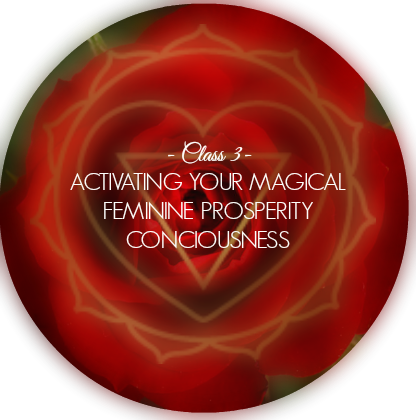 Through the Magical Feminine Prosperity Group Program you will discover how to powerfully lead with your essence, AND have money truly support you as you step in your prosperous priestess vibration . Yes, through this program we are going to release the OLD, and have you fully anchor into to an upgraded SELF-IMAGE that demands a NEW level of FEMININE prosperity, pleasure and EASE. As a sacred woman our desires are truly meant for us, and waiting for permission UNTIL we have the money, or until our spouse gives us permission rarely works, instead it leads to suffocation, limitation, and feeling like a victim, which is an energy that money rarely flows! In the end we are left to struggle, push or just barely have enough just to get by! But, my love, you are divine! And truthfully aren’t you ready to be MORE than ENOUGH? Through this program you are going to discover how to make money work for YOU as a divine woman who is here to have a physical experience, and you are going to upgrade to a whole NEW SELF-IMAGE that reflects you as a sacred women who is prosperous, divine, and powerful. From this place you emerge with a entirely new story that will shape your reality and how money can serve you as a divine feminine woman. AND THE ENERGY OF TRUE PROSPERITY? THIS IS YOUR MAGIC AS A DIVINE WOMEN. Imagine flowing with the guided direction of your unique divine feminine essence, all the while feeling held, loved and supported by the TRUE source of money– GOD, Spirit or the divine? Imagine KNOWING how worthy of receiving all of your desires you are, and having them show up with so much more ease than the pushing, struggling, patterns of NEVER ENOUGH-NESS? I am so delighted that you have found your way to this magical, deep dive journey into radiant goddess abundance. This is important because this is truly where we as sacred women begin to attract the money, and opportunities to lives our dreams. When we feel full, radiant and expansive, we naturally pull to us all that we desire. The universe begins to MIRROR back to us the sacredness we feel for ourselves. This is how we begin to create a NEW self image of deep self love, beauty, power, abundance, and visible sacred success! When we get really clear on who we are being called to be as sacred women, what we need and desire to thrive, and FULLY claim all of that for ourselves without apology — the UNIVERSE RESPONDS ACCORDINGLY. Isn’t it time you released the struggle, and stepped into your radiant queen sacred success NOW? AKA: where money, opportunities and clients naturally vibrate to you at! That’s right. NO MORE HIDING. NO MORE STRUGGLE. When you begin to see yourself as a QUEEN, the external world mirrors it back with fine china and all kinds of different things! When we do this the universe conspires on our behalf, and begins to mirror back to us our own self-loving decision to powerfully show up for what we want, need and desire– this my loves is where the MAGIC unfolds! When you feel radiant, abundantly beautiful, and open to receive… the miracles, money and opportunities that you desire naturally flow to you with ease. It’s my true passion to serve spirited women just like you who desire to STEP out and be SEEN in the light of their sacred beauty, power, and purpose. This is truly where all the juicy good stuff happens. When we can step out in this way, honoring ourselves as the divine women we truly are, the universe can meet us in our experience in a whole new way and life can unfold with a new found sense of pleasure, and ease. I love working with women who are ready to powerfully come out of hiding, claim their true soul desires, and want to flow forward into their continued evolution following the transformational pulse of the feminine cycles (something you will immerse yourself in through the Magical Feminine Prosperity Program). I also believe that as women, when we stay in the flow of seasonal and lunar cycles as well we stay connected to a potent spiritual energetic force that can be harnessed for our own continued healing and evolution inside and out. As a result women continue to release old wounds, redefine, express and then blossom, into more of their beauty, truth and power as they age, not less (as society would have us believe). This connection to rhythmic flow is a natural way of being for women, however for the most part we have become disconnected, resulting in burn out, disconnection, stagnation, and weighted old energetic gunk that clogs not only our intuitive, purposeful connection- but over time limits the full expression of our divine beauty inside and out. After many years of working with women, I have seen the power of harnessing our feminine cycles over and over again! When we start to experience a shift in energy due to the release of old wounds, ways and stories , space opens up that supports us in not only powerfully showing up as the sacred women we truly are but a permission to root into nourished pauses allows us to rest, and re-calibrate monthly. We start as we flow with our feminine cycles to break free from giving and doing, and learn to rest into sacred pauses that begin to create nourished, radiant energy. When this happens our energy expands and our heart opens and we begin to RECEIVE the magic and miracles of so much MORE. The 3 Month Magical Feminine Prosperity Group Program is not just a deep dive journey but an opportunity to re-write our stories of not good enough struggle, embracing our divine feminine self-letting her lead through every aspect of life. As you journey through the program you will receive your own Moon Rhythms templates to begin harnessing the power of each phase of the moon’s cycle. When you do this you will begin to sync up your flow with the flow of the moon creating a relationship with your spirit and your feminine energy! It’s time to evolve into MORE of the woman you came here to be, so you can step out, be seen and powerfully ATTRACT your desires. So, if you’re ready to SHED old energetic weighted g-u-n-k this Fall and clear core wounds keeping you small all while harnessing the power of your intuition, so you can e-x-p-a-n-d into your MOST beautiful, unique, radiant, prosperous sacred Self then this is for you! What if the KEY was actually in shifting in how you saw yourself, and what you believed you were worthy of having? Once you’re connected to your true DIVINE feminine essence and understand how to co-create at the level of the soul you are on your way to cultivating a life in a-l-i-g-n-m-e-n-t with your highest unique soulful expression. As you begin to create a new empowering relationship with yourself and money YOU become a MAGNET to your desires. 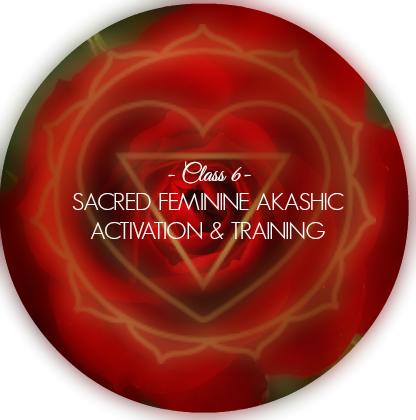 The 3 Month Magical Feminine Prosperity Group Program (tm) uses the ancient, spiritual power tool that is the wisdom of the Akashic Records to clear, h-e-a-l and align you to your MOST beautiful, purposeful unique expression. At the same time, Tara guides you through this program she holds space for clear connection to you and your essence, while also giving you all the tools you need to work with your own i-n-t-u-i-t-i-o-n (voice of your feminine soul) as you move forward into your full, radiant, prosperous, powerful feminine self! Yup, no more hiding. If you want to live the life you love, you have to be ready to show up for it. This is where the universe begins to conspire on your behalf. And, seriously you can use your i-n-t-u-i-t-i-o-n for everything…including SACRED styling (which we are going to cover), to creatively EXPRESS your unique feminine essence and be the vibrational set point for your true desires daily! Yes, we will introduce that through this program. Your intuition is a direct communication line to your Soul and your essence self, and encompasses many other dimensions of awareness such as your higher self and spirit guide team. This is why it’s important to open the c-h-a-n-n-e-l-s of the full range of your guidance system. Your personal energy field includes your physical body, emotional and mental aspects as well as several spiritual energy bodies that I cleanse, heal and align through the Akashic Records. In order to access the FULL range of your intuition, you need all aspects of your personal energy field to be open and clear. Additionally, you need to have a c-l-e-a-r connection from your subconscious to your higher self in order to r-e-c-e-i-v-e information from your spirit guides, master teachers, and even angels. All of which this program will help you with. Being in the magic of your feminine prosperity is all about taking up space in the world with the full expression of your divinity, inside and out. It’s knowing you are MORE than enough as a sacred woman to live the life of abundance you truly desire. Your gifts, purpose, beauty, truth, and soul’s work, all want to be grounded out here in the physical as the unique expression of you! Through this program we are going to clear the layers of FALSE beauty p-r-o-g-r-a-m-m-i-n-g gunk clouds your light and keeps you from making the difference in the world you were born to make. Your clients NEED to see you. All of you! And money, well, it can’t get to with the ease you truly desire if your hiding! INSIDE OF YOU LIVES MANY DIVINE FEMININE ARCHETYPES: you are a goddess, queen, high priestess, witch, oracle, midwife. Very often women come to me for c-l-e-a-r-i-n-g work around soul-level wounds created through past life experiences where we have been persecuted for being in our sacred beauty, truth, and spiritual POWER as divine women. Often time women have karmic stories playing out around money, lack and our value as women.These are blocks like: contracts, old karmic patterns, illusions, and old p-r-o-g-r-a-m-m-i-n-g that prevents you from EMBRACING their divine feminine abundance, gifts, beauty, and the fullness of your true feminine power. And when you are in your power you become magnetic! So, NOW is your time to release the old, and rebirth your most beautiful & magnetic self in true alignment with your feminine soul. Your feminine essence WANTS full freedom. She wants to lead you into an abundant life of ease, and full authentic self-expression. The question is are you getting in your way? Are you hushing the true desires that you have for your life, & business, afraid money won’t be there to support you? Or are you riding the wave of pleasure, ease and growth that naturally happens when we follow the nudges of our spirit? Until you’ve EMBRACED all of the f-a-c-e-t-s of your spiritual and physical self (aka: when your beauty really radiates), you’ll continue to feel stifled, held back, and apologetic for the pieces of you that want to be set free! If you want to fully realize your life purpose and MAKE a DIFFERENCE in the world, or step out with your spirit-centered business, you need to become the guru of your i-n-n-e-r enchantress. It’s time to merge, celebrate, connect to, embrace, embody and align all aspects of who you are because that is how you begin to feel whole in who you are. YES, WHO YOU ARE IS MORE THAN ENOUGH, and when you truly own that your reality reflects it. This is your permission to become the visible empowered goddess that is ready to emerge, so you can take center stage in your life or business. empowered and beautiful to the CORE ? completely energetically a-l-i-g-n-e-d with your juiciest soul desires? unapologetic in what you truly want? confident to be visible in your beauty & power? clear on what YOU need, desire and want to thrive? open, energetic, radiant, free flowing and limitless? connected to the magic of your unqiue feminine essence? The Magical Feminine Prosperity Group Program is for conscious women who desire deeply connect to their inner most radiant Self, empowering them to take up BIG space in the world with their authentic beauty, truth & power— while stepping into the ease of new paradigm feminine prosperity. "My most beloved part of this experience was having the group collective share, witness and journey along with me"
"It has been such a safe container to blossom and unfurl". "My biggest success has been letting myself change whether through intuitive styling or new ways of being"! "Can't thank you enough Tara for this beautiful magical divine inspired program". excitement inside me for my life and for who I am. I'm finally excited to be me, and that is amazing! And a new knowing that I am already worthy (I was waiting to earn that)." "It's like I've slipped into a flow of energy I didn't even know existed. It's sustaining and fullfilling and full of possibility and I feel so much gratitude for that energy, and everyone in my life. Money is not what it used to be for me. It's so freeing!! "I truly can't wait to see what comes next and I absolutely love how I've been feeling this past week. I love this shift!! The Magical Feminine Prosperity Group Program is for conscious women who desire deeply c-o-n-n-e-c-t to their inner most radiant Self, empowering you to take up BIG space in the world with your authentic beauty, truth & power. Constricted, depleted, drained from over-giving, doubt around your brilliance, continuously playing small, hiding in fear, or tired? These are all signs that you are not owning your FULL radiant empowered beauty. Through the Magical Feminine Prosperity Program you will be fine tuning your i-n-t-u-i-t-i-o-n to guide you into a full expansive state of FEMININE luminescence, so you feel empowered to show up the way you crave to in life & business. Are you ready to be SEEN in the fullness of who you are? You love working with (or desire to work with) an intuitive approach to life, business, and creative self-expression. You want to move from struggle, pushing, depletion and desire to create more ease, pleasure, and fun in your life and business. Your ready to create rhythm that nourishes you by following the flow of the lunar cycle. You want a program that feels spacious, and supports a delicious slow rhythm that allows you to sink into new rhythms that support your attraction frequency. Your ready to create pleasures pauses in your life that reflect a new level of self-love and devotion to yourself as a sacred women. You want to build an attraction frequency that is abundant, powerful, and magnetic and supports you in living how you are naturally designed to thrive as a divine woman. You want to heal your money story, and shift into a NEW feminine paradigm around money that allows you to feel supported in living the life you desire. You want to heal self-worth, visibility, and money issues, so you can step out offering your gifts without apology, and actually RECEIVE everything you desire and MORE. You want to tap into the magic of your unique feminine essence and allow her to have a say in how you lead and show up in the world. (You want to learn to trust her). Your ready to let your feminine desire, flow and pleasure lead. You are ready to bring your femininity out of hiding, and weave her magic into your world for true expansive, radiant abundance. You want to break-free from perfection, find flow, and move into true authentic expression without holding back. Desire energetic tools and practices to attract more money, clients and opportunities. You want a deep loving relationship with the most important person there is…YOU. You want to connect with your SOUL, and understand how you are being guided to live your purpose as the unique expression of you. You want to expand into greater expression of your purpose. You are ready to follow the path to the highest expression of your beauty (purpose, gifts, divine nature, sacred work) both inside & out without apology. You want to learn how to harness the energy of creativity to infuse your life & business with inspiration, feminine juice, and fun (so you can stop over-thinking, trust, and go with with the flow). You appreciate beauty, and are ready to learn how to rock yours! Perfection is holding you back from finding true, delicious freedom in how you express and celebrate your uniqueness. You are ready to clear deep past-life blocks (and core feminine wounds), out-dated programing, and old stuck energy in order to open up your intuitive channels, and become magnetic in your presence. You want to learn how to not only use your intuition (and trust it) but also follow it into the full expression of sacred success, prosperity, beauty & purpose. You want to be confidently visible in your unique brand of beauty. Your ready to powerfully claim and clear the path to your most prosperous life and business. Showcase the beauty and richness of your most sacred and authentic self so you can show the world—the divine creatress they’ve been waiting for. Flowing with the lunar cycles to create feminine rhythms that nourish and BUILD your attraction frequency. Getting crystal clear with your feminine desires and FULL permission to let that lead. Breaking through perfection, finding flow and BEING SEEN as a powerful beautiful women ready to CLAIM want she wants with out apology! Stepping into your beauty, truth and power as a divine woman. Creating a new source of financial empowerment as you heal your relationship with money at every level and learn to tap into the infinite supply! Beginning the 40 Day Magical Feminine Prosperity Plan to reprogram your subconscious and elevate your abundance mindset! Creating a goddess sacred style that reflects a NEW empowered self image! Finding freedom, and wisdom in the full range of your deepest emotions. Uncovering your soul desires, and creating energetic alignment for clarity as you take the clear steps needed to manifest with ease. Building trust in your intuition, and allow it to guide your authentic expression here in the physical. Valuing your sacred gifts, life experiences, message and soul’s purpose so you can charge what you REALLY want and get it. Feeling the freedom of taking up greater space with more of who you truly are. Connecting to the full range of your beauty(shadow/light) giving you full permission to let that flow through the world around you nourishing all those you come into contact with. Claiming yourself as a divine woman who is worthy of having everything she desires and more. Healing old deeply rooted cellular programming & wounds that will quickly move you forward into your next evolution of the woman you were born to be. Embodying and defining your unqiue feminine essence. Showing up in the world free of shame, guilt, and fear when it comes to honouring your sacred gifts, your personal story and authentic Self. Getting clearer on your inspired life purpose. Creating an intuitive, inspired approach daily sacred styling that you can use over and over again to create an energetic set point for the desires you are calling in for yourself! Aligning you to your divine genius for endless inspiration without without worry, strain, or stress. Fully embracing, enhancing, and celebrating your natural beauty without needing permission! sacred women you truly are? 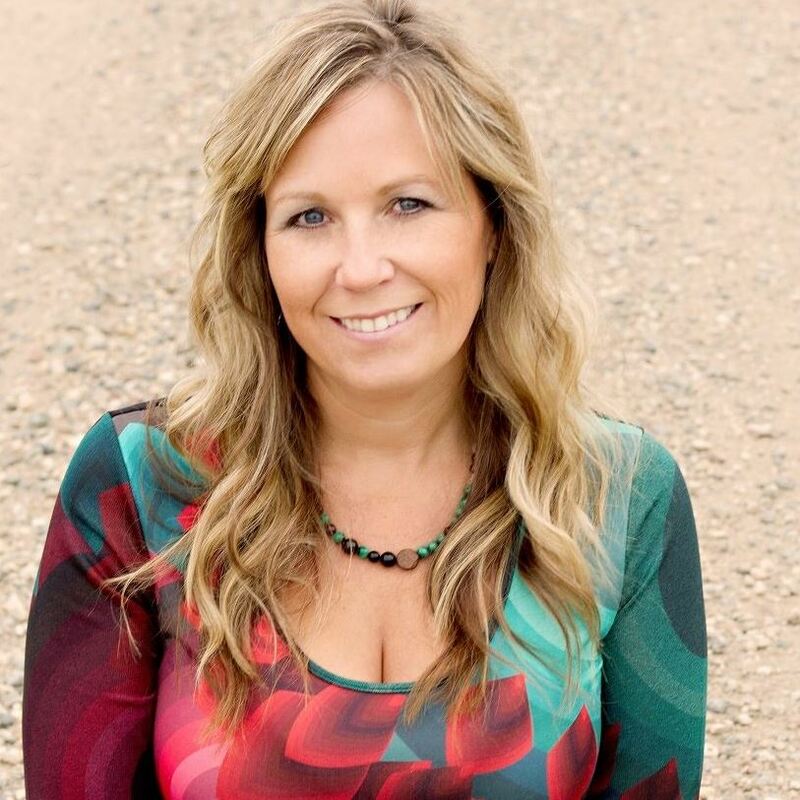 Tara Preston is a Feminine prosperity mentor for women who are ready to come into sacred relationship with themselves and money so they can live the life they feel called to live. Oddly enough as a women who create SPACE for other women to tap into their beauty and express it, I had a hard time doing it for myself. It didn’t feel safe for me to express it, and I carried old, heavy baggage from a rough childhood that made it really hard to show up the way I wanted to. I was stuck in pushing, constant giving, and lack of self love (which cut me off from receiving), doubt & confusion for a long while. I had WOUNDS that made it hard for me to really show up in my sacred gifts, beauty and truth. Later after my initiation into M-o-t-h-e-r-h-o-o-d I stepped outside of societies box, left the beauty industry, released the old, and sunk below the surface of life. I would then emerge as a spiritual healer who would spend the next 5 years working extensively with the Akashic Records, and a process called Soul Art. At that time I did 3500 Akashic soul healing sessions, and worked as a soul purpose coach. But still, for a l-o-n-g while I hid. Around that time I also spent several years immersed in nature, being a Mama while also getting clear on my sacred work. As I s-t-r-i-p-p-e-d away the layers I who I was no longer, I healed deeply, embraced my shadow, and emerged more fully the woman I was born to be. That is the power of engaging change, and actually having it support us in our evolution as women. That is the power of transmuting pain into purpose. This is how we begin to reclaim all parts of ourselves becoming whole in our purpose, prosperity & beauty. It really wasn’t until I was able to e-m-b-r-a-c-e- all of me that I became WHOLE and could step out with the true transformation I am here to offer, allowing myself to be SEEN like never before, fully in my goddess power. Up until then I had s-e-p-a-r-a-t-e-d out parts of myself that I thought WOULDN’T be accepted. I began embracing parts of myself I thought were unlovable. Parts that I had shamed and abandoned. A lot of healing happened, and a lot of just recognizing that there IS beauty in our wounds as well. I could really truly realize that our dark & light make us whole. As time went on it became clear that my purpose truly was to e-m-p-o-w-e-r women to connect to their intuition, and allow that c-o-n-n-e-c-t-i-o-n to guide them into becoming their most purposefully aligned, RADIANT, and beautiful self. “When I healed my relationship with myself, and shifted my paradigm around money and how it could actually serve and support MY DEEPEST DESIRES – THE MONEY ALSO STARTED SHOWING UP! I went from pushing and struggling, and never feeling enough, to seeing my business exceed the 5k a month. The growth continued until I began seeing 8k and even 12k months”! Now I work with an intuitive approach that that brings together various transformational tools combined with ancient healing wisdom to support women in creating a powerful sacred self image that ignites the path to their highest purpose, then a-t-t-r-a-c-t-i-n-g the relationships, money, life and business their SOUL truly longs for. She weaves the spiritual healing power of not only the Akashic Records, but many other healing tools and feminine embodiment practices to assist her clients in healing deep collective feminine core wounds, and soul-level rooted patterns. By doing this she is able to facilitate deep and transformational work that allows her clients to feel free, powerful, and beautiful in the expression of their purpose in both life & business. Women quickly feel empowered to step into the spotlight of their lives through Tara’s work, then claiming what it is they truly want without apology, while attracting it with greater ease and pleasure! Through the last 15 years Tara has discovered how empowered women feel when they are given space to authentically self-express. Whether that authentic self expression is through using their voice, claiming their dreams, sharing their gifts, or presenting themselves in a way that they feel really expresses their unique essence, truth, and power. 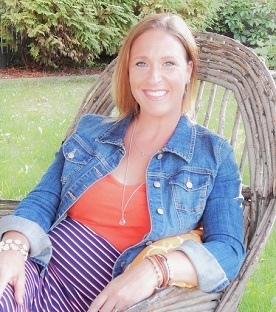 Tara helps her clients deeply connect to their intuition, inner beauty, and soul’s vision by working with their natural feminine cycles. She believes that when women root into this intrinsic power, while valuing their divine gifts, and trusting themselves they naturally flow into greater evolution of their authentic expression. Her greatest gift is her ability to hold a space of love and non-judgement, allowing women to feel safe as they go deep into those messy and imperfect places inside themselves, re-calibrating their life and work so that it nourishes them to the core. Women quickly feel empowered to step into the spotlight of their lives through Tara’s work, then claiming what it is they truly want without apology, while attracting it with greater ease and pleasure. Welcome to an innovative approach to goddess empowerment designed to increase your VISIBILITY & ABUNDANCE through embodying your feminine essence. Your old self-image is beautiful and perfect, however she is just that OLD. Within this old self-image you have a certain way of seeing yourself, within that are stories and beliefs that match the vibration you are currently sitting in. So when we desire MORE it becomes essential to release the old self-image and powerfully step into the NEW self-image. One that reflects you as the powerful, beautiful sacred women you truly are. One where you are a vibrational match to your new desires. THIS is where radiant visible success happens! Get rid of the gunk clogging your intuitive channels, and dulling your sparkle, and weighing you down! Through emotional, mental, and physical cleansing strategies you will change your entire vibration, and up-level you to the dazzling queen you were born to be. Begin making space in your life for more of your YOUR ESSENCE as well as ease, prosperity and flow. Begin to purge old home clutter, with a super easy checklist! Detox closet of any clothes that leave you feeling less than divine. This includes clothes that connect you to old stories and baggage. Purge old stuck, heavy emotions, resentments, old money stories, beliefs and mental dis-ease. Pave the way for a new, beautiful, powerful prosperous YOU to emerge. Meet your future powerful, beautiful self, and learn how to begin embodying her now daily. Let her become the North star that guides you into your next level of sacred success in life & business. Social media detox as you return home to your true self, and build nourishing rhythms that build your energetic attraction frequency! Fire ceremony to release your old self-image, money story & close out the final chapter of the old you. Create an essence alter that grounds the vibration of divine feminine abundance, and activates this transformation. Learn how to deepen your relationship to self daily, activate your magnetic feminine power & express your beauty apologetically as you begin your Radiant Morning Power Hour this week! This is the key to holding your power center, activating your attraction frequency, & rooting into your expansive beauty and truth daily. Experience a deep guided Sacred Beauty Journey. Connect to your sensuality, unveil your true natural beauty & creative feminine power. Come out of hiding, and ground your essence for true magnetism. FEEL more than ENOUGH to have what you want NOW. Root your natural abundant beauty into Mama Earth with meditation for grounding & centering as you move into goddess intuitive flow. Begin to understand how to ebb, and flow naturally building your abundant energy by connecting to your feminine cycles and rhythms. Discover how your emotions can actually serve you. Come into your sensual nature with movement that connects you to your Sacral Charka. Open to the natural creative flow of your feminine energy, and move through a creative ritual that activates, empowers and heal your Sacral Chakra (the money/sexual chakra). Deepen your relationship to your Sacral Chakra and decode her messages for healing and empowerment. Move through a water ceremony to clear old illusion clouding your authentic beauty. Anoint yourself and step into your divine feminine nature. Complete a natural beauty sacred make-up look that let’s you shine through in natural radiance. Perfect to shine on video! Redefine your definition of beauty to include all parts of you (even the parts you don’t like).Come into wholeness where your abundance REALLY is. RAISE your attraction frequency so you can do less and receive more. Begin to examine and heal the Mother Wound so you can self support and empower your inner little girl to know she is MORE THAN ENOUGH at any given time. Begin to create NEW money beliefs that supercharge your divine right to be supported by MORE than ENOUGH financial flow! Begin to value your goddess gifts (cause no one will do that for you), and charge accordingly. Really own the power of who you are and what you bring to the world. Lean into a new prosperous paradigm where God/ess/divine/universe is the true source of all your abundance. Begin creating a new relationship with money (the masculine energy) that supports YOU, as you lead from a place of feminine desire. This is where we begin to balance our masculine and feminine aspects. Heal heart charka wounds around low self worth, resentment, sadness, past let downs, and other heart stories that make it hard for you to actually RECEIVE the money, clients, and desires you have. Money, clients and your desires all want to flow to you, but if you’re buried under the needs of others or behind a wall that closes you off from receiving nothing can get to you and you end up feeling closed off from the abundance you actually want creating a pattern of continually pushing to get what you want. Give yourself permission NOW to show up and actually become available for what you want, so what you want can actually find you! Heart chakra creative ritual to heal, empower and open your heart so may move into greater love, forgiveness, worth, and then open to receiving more fully that which you desire. Learn an energy tool for attracting clients, and money with ease. Begin to connect to deeply to the life and business YOU truly DESIRE. Discover how to lead with your desires for ease, and soul aligned prosperity. Uncover what you not only desire, but what you want and need to feel radiant, powerful and fulfilled. Powerfully CLAIM your Desires. BE the woman who is unapologetic in what she wants! Claim how much you REALLY want to make each month! Understand the energetics of money when it comes to a DESIRE led life. Understand how your inner divine masculine, and divine feminine can dance together to make flourishing finances a part of your sacred path. Discover why leading with your soulful DESIRES is the MOST powerful way to align your life to the truth of who you feel called to be, and why it’s the SECRET to attracting money with ease. Take a stand for your dreams and ASK for what you want and need to thrive so you actually become magnet to what you are calling in for yourself for 2018. Open your energy to begin attracting what you desire (less doing more receiving). Discover energetic attraction methods to pull to you what you want. Understand how to use energetic alignment and intuition to manifest what your desires so you can create ease, and flow rather than pushing! Clarity is KEY. Here you will begin to open to your MOST expansive, radiant energetic state where you naturally begin attracting to you your desires, clients and even more prosperity. Craft a soul aligned intention to guide not just this transformation but your entire year. Understand why intention is the key to working with your intuition. Understand how energetic alignment is key to creating ease, flow and abundance. Understand the different ways we connect to our intuition, and how you can begin naturally strengthening yours. Begin building in wardrobe pieces that express your unique feminine essence. Learn how to use your wardrobe as a tool to not only self-express your essence but to use it as a vibrational set point for attracting your desires. Be embodied daily as women who already HAS what she desires and speed up your manifesting 10 fold! Begin manifesting a goddess wardrobe that feels good, and brings your essence out of hiding. Begin practicing manifestation, energetic alignment, and following intuitive flow as your essence leads you into energetic alignment with the desires look and feel of your wardrobe pieces. Move into juicy goddess creative flow first thing in the morning! Have fun with the magic of daily intuitive styling where you co-create sacred styles that bring you into energetic alignment with your core desires! BE in an abundant energetic state daily as you dress in a way that honor and celebrates your visible, empowered goddess self! Discover how to make every morning a ritual that centers you into your feminine power and activates your inner beauty. Activate your authentic beauty daily & prepare to step into the spotlight of your life and business so you can charismatically impact those around you & naturally attract your tribe. Discover an innovative approach to expressing your feminine essence daily through intuitive styling. Let what you wear be the easy sacred expression of your essence and true beauty by using your Sacred Beauty Archetype(tm)to guide your unique authentic style. Feel seen, aligned, and expressed as you let your essence shine through in every area of life. Create an essence board to visually connect your unique essence and use it as a guide for developing your evolving wardrobe. Allow yourself to play, creatively express and experiment as you find new flow with your sacred style! Receive a transmission from goddess Lakshmi the goddess of wealth and beauty through the Akashic Records and access the energy of prosperity to amplify your abundance vibration. Learn how to access and read your own Akashic Record! Understand how to use the records to heal, clear and empower your Sacred Feminine Path. CLASS 7 -ANCHOR THE NEW SELF IMAGE AS A EMBODIED DIVINE WOMAN. Become a women who in unapologetic in what she wants,who she is and take a stand for the life you are ready to live! God/ess wants to give you everything you desire, need and want. Create a NEW relationship with the universe as you move into prosperous partnership with the divine, that calls to you that which you desire! Fully embody your new sacred self image as a divine women & powerfully own your new story. If you want your desires (and money) to show up you have to show up everyday available, visible and in your power. Discover how to hold your new sense of visible empowerment and expression even in your relationships! Yes, as you shift, grow and expand so to will your relationships need to re-harmonize to support this. Practice sacred adornment and “mirror gazing” to activate a new level of relationship to your sacred Self. Harmonize your inner and outer transformation! Become the Enchantress of your dreams! Begin magnetizing to you all that you desire! Own your power as a women through being NOT doing! Know you are MORE THAN ENOUGH now! Feel embodied as you activate, and express a new level of your authentic abundant beauty! This is a total inner & outer realignment where you commit to showing up as your MOST powerful radiant, visible Self. Rewrite your OLD story, saying good-bye to your outdated self-image once and for all. Set up your NEW Soul Contract with the universe about the experience you are wanting to create in your life, business or brand through your personal Womanefesto to honor your commitment to fully stepping into the women who is ready to fully show up as her most powerful, beautiful self! Magical Feminine Prosperity activation’s & modules dropped bi-weekly to guide your transformation. 2 Q & A LIVE Group Calls to support your transformation and money breakthoughs! Bi-Weekly homework assignments designed to accelerate your embodied transformation. Prosperity activating homework assignment, & group clearing work. Bi-Weekly homework for embodiment of your essence, beauty & sacred style. Moon Rhythms templates to activate your deep feminine wisdom, magic & cycles. These templates create a base your to begin flowing with your feminine cycles for true balance and ease. Once a month Pre-Recorded New Moon Feminine Embodiment Ritual (and 3 Full Moon replays where you will dive into womb work, root charka work and other feminine power areas to support your transformation). A private safe virtual container for you to drop into your transformation. During the last Magical Feminine Prosperity Mastermind this was a deeply safe space for women to share and connect allowing them to move through layers of healing that would surface as they journeyed. through the program. This is held in a closed Facebook group for on going feedback, community energy and support throughout the three months. All Magical Feminine Prosperity modules are yours for life. And all Q & A Calls recorded for you to refer back to. Don’t Miss Out On This Program Opportunity! you KNOW is ready to be born? YES, SIGN ME UP. I AM READY! VALUE OF THE MAGICAL FEMININE PROSPERITY MASTERMIND: $2497.00! THE INVESTMENT WILL GO UP NEXT YEAR! These Bonuses won't be offered again! Doors Close April 23rd, 2019 Midnight. As soon as payment is made you will receive an email notifying you of purchase, with an invite to the private Magical Feminine Prosperity Facebook Group. PLEASE NOTE: THIS PROGRAM HAS 10 SPOTS OPEN FOR WOMEN WHO DESIRE A BEAUTIFUL SAFE, SACRED CONTAINER TO JOURNEY THROUGH A PERSONAL TRANSFORMATION FEELING HELD ENERGETICALLY AND WITHIN COMMUNITY AS YOU JOURNEY WITH WOMEN ON A SIMILAR PATH OF EMPOWERMENT. Upon payment you will be added to the Facebook Group. Every effort has been made to present the program and the transformation expected as clearly as possible. Once you commit to moving through the 3 Month Magical Feminine Prosperity Program with the initial payment there are no refunds and you are required to make all additional payments if you choose a payment plan. "Through the Magical Feminine Prosperity Program I learned to stay in the faith when it comes to manifesting my desires, and that I am NOT doing it all alone which created so much ease"! "I now know and trust the limitless supply and that this is a loving universe that wants to provide for me! I truly am the creator of my own destiny as a sacred woman having this human experience". "Tara creates an extremely safe space for all of her clients to experience truly life changing transformation. I began to feel completely connected to my femininity in nature and with gentle guidance- melted away any and all insecurities of my True Self. I have come home to my body and fully accept who I am and what I am capable of". Every program offering more clarity and unmistakable growth". "You will receive far more then you have imagined. Things you didn’t even know you needed and wanted -and it will be profoundly healing". My intention through the Magical Feminine Prosperity Program has been: "I stand in my fullness and shine unapologetically". "I can honestly say that it’s really opened up for me"! "I’m not sure what Tara does to create the magic & power...but under that sweet smile is a fierce goddess warrior- clearing the path for us to get to where we need to be". Clear life times of layers of false beauty-programming gunk clouding your light and keeping you from making the difference in the world you were born to make.